WJK Radio 32: N. T. Wright and the New Testament . . . for Everyone! WJK Radio 28: Allan Cole Responds: What Makes a Good Spiritual Life? WJK Radio 26: John Fea Responds: Was America Founded as a Christian Nation? Amy Plantinga Pauw discusses WJK’s newest Bible commentary series: Belief: A Theological Commentary on the Bible, which she developed with William C. Placher. Each volume will explain the theological importance of Scripture for the church today by connecting the words of the Bible to the church's doctrines and practices, as well as to the life of faith in the Christian community. The first two volumes, Mark by William C. Placher and Luke by Justo L. González are now available. Amy Plantinga Pauw is Henry P. Mobley Jr. Professor of Doctrinal Theology at Louisville Presbyterian Theological Seminary. William C. Placher† worked with Amy Plantinga Pauw as a general editor for this series until his untimely death in November 2008. 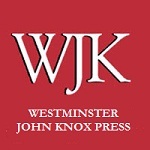 Westminster John Knox Press wishes to dedicate the entire series to his memory with affection and gratitude. For more information on the series, visit http://belief.wjkbooks.com.